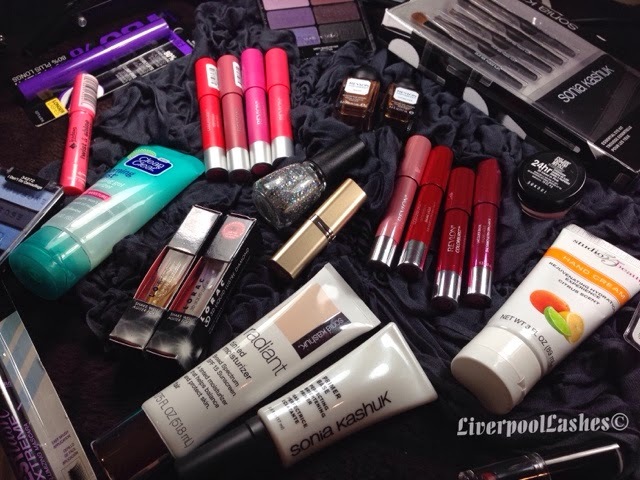 Today's post is on the long awaited US Drugstore Haul. A few days ago I posted my massive Sephora haul so please do make sure you check that out. Most of this was on my list but actually I couldn't fit it all into the above photo so this is just a selection of it! When I think about how much I bought I do feel slightly guilty but this is what makes me happy, playing with all of this fun stuff and eventually reviewing them for you all. As usual I have a video for you to watch. I hope I make sense, I was so busy trying to get everything into a decent length video. If you have any questions just let me know!